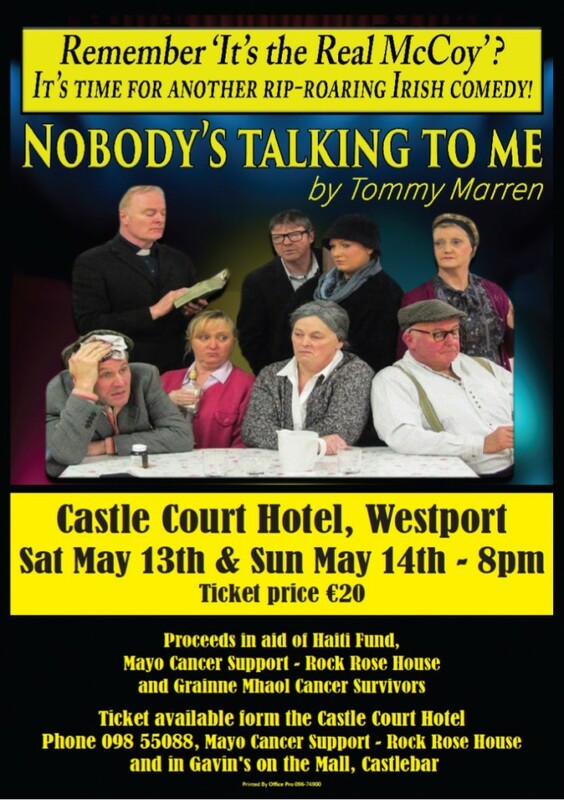 Come along and enjoy this hilarious play by Tommy Marren in The Castlecourt Hotel, Westport on 13th & 14th May. All proceeds are going to local charities, Mayo Cancer Support Association, the Gràine Mhaol Dragons and the Gina Heraty Haiti Fund. Tickets available from Rock Rose House. Gavins on the Mall and the Castlecourt H Hotel.